Hubbell’s 110 RCA connectors deliver high quality AV signals to any work station or transmitting/receiving device. 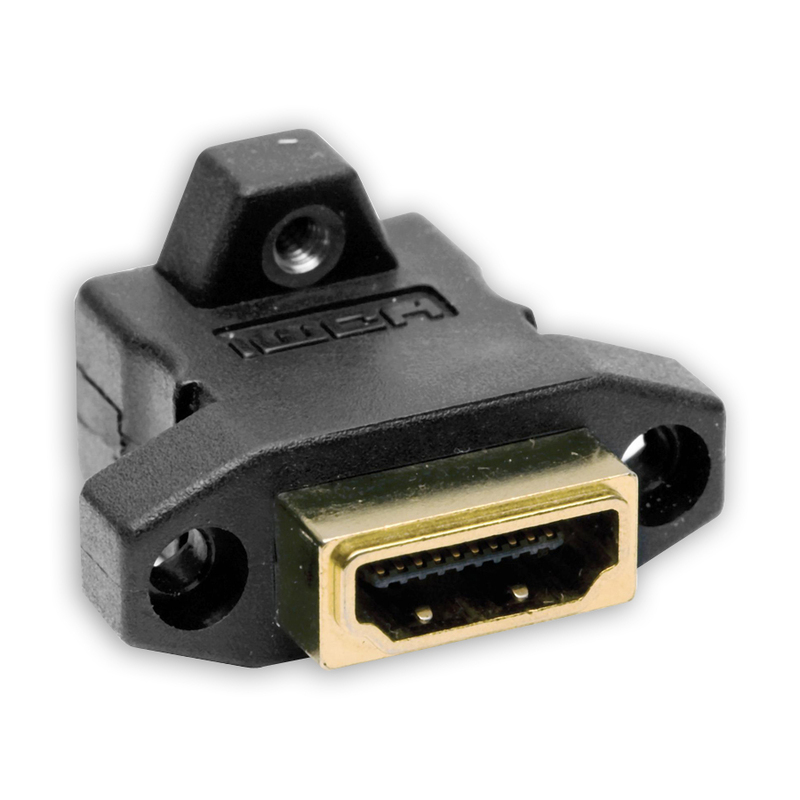 The RCA 110 connectors utilize UTP cable (category 3, 5, 5e, 6, 6A) to deliver component/composite signals within a horizontal point-to-point run. RCA 110 connectors are available with 5 different insulator colors and snap into any iSTATION™ product, module, frame, surface housing, poke-through, raceway, delivery or even a UDX multimedia panel to distribute audio/video signal. Requiring no soldering, these connectors install with a snap. Create a customized multimedia work station by snapping a RCA 110 Connector along with HPW’s extensive line of AV connectors, loaded modules and XCELERATOR™ jacks. - Seamless Hubbell system integration. - Universal keystone design fits in all Hubbell products. 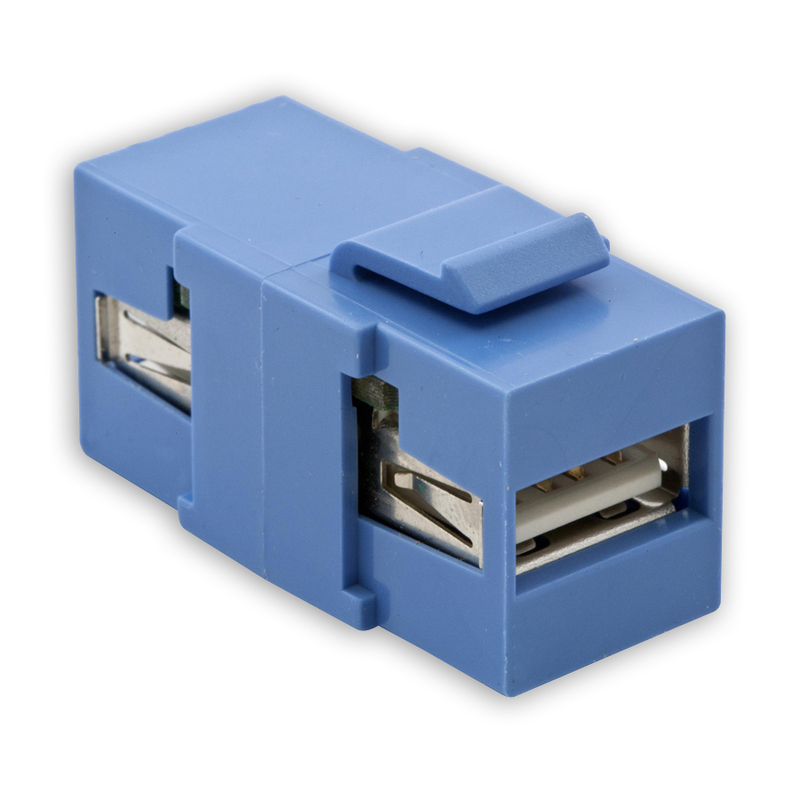 - Recessed or flush connection designed for poke-though applications. - Deliver composite or component AV signals. 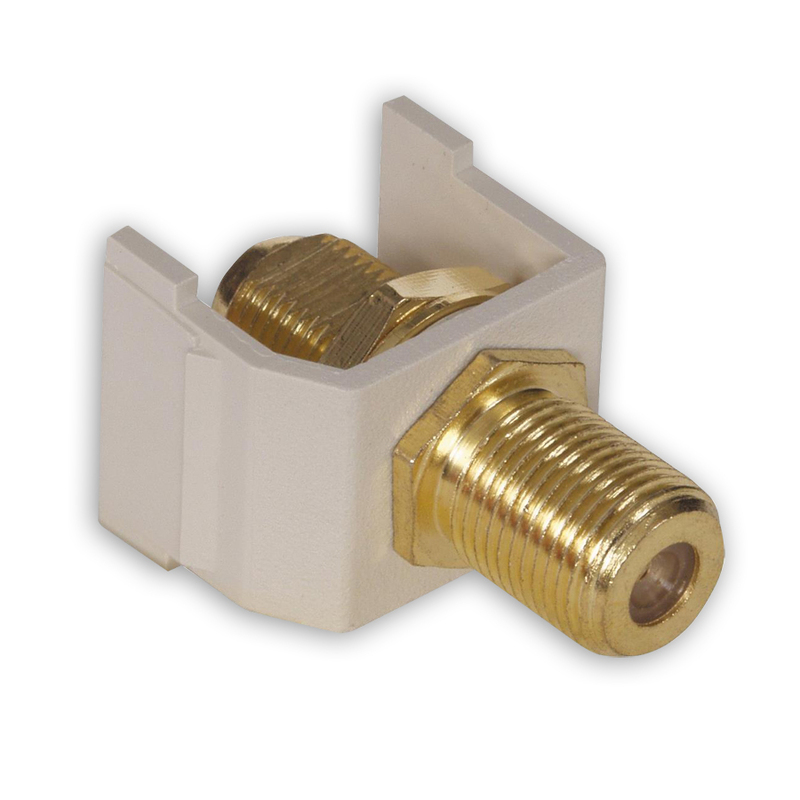 Hubbell’s RCA gold pass-thru connectors deliver high quality AV signals to work areas and/or transmitting/receiving devices. 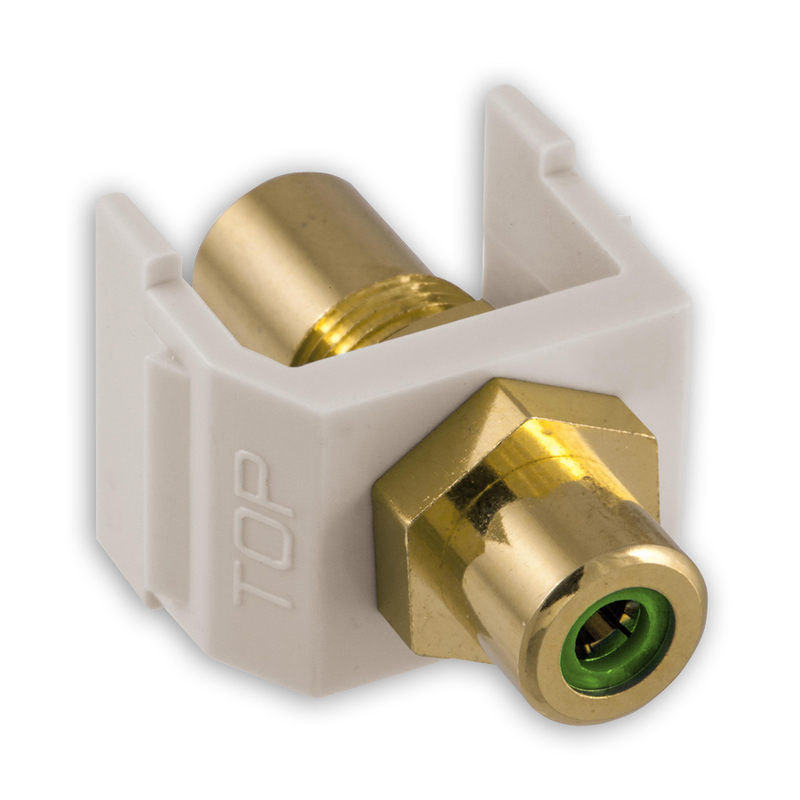 Requiring no soldering, these RCA connectors install with a snap and provide a quick easy “push-on” termination. These RCA Connectors are available with seven standard insulator colors housed in seven Hubbell colors, accommodating all common AV applications. RCA-Connectors mount into all iSTATION™ faceplates, surface mount boxes, modules, frames, Hubbell Delivery System products including poke-throughs and surface raceway, and iSTATION™ UDX multimedia panels. Create a customized multimedia work station by adding a RCA gold pass-thru connector along with Hubbell’s extensive line of AV connectors, loaded modules and XCELERATOR™ jacks. - Universal keystone design fits into all Hubbell products. - 7 different insulator colors. - High quality Gold plating. - Applications supported: composite/component AV distribution; TV, CCTV, CATV and satellite; Home theater and entertainment systems; Cameras, camcorders and projectors; Security and surveillance systems. 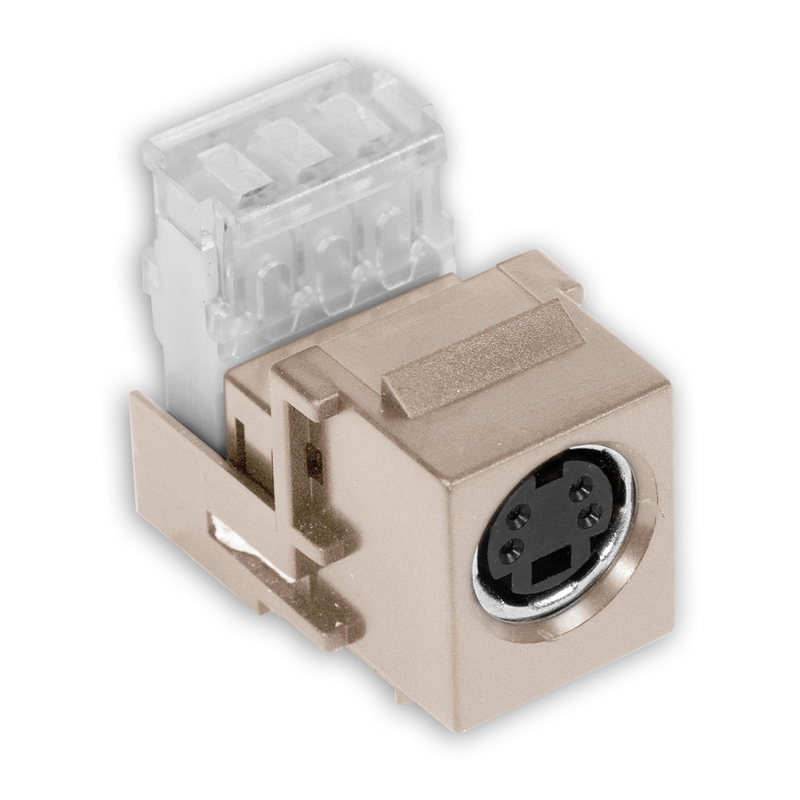 Hubbell’s AV Gold and Nickel-Plated F-Connectors provide a perfect solution for distributing coaxial (RG-6 and RG-59) video signals to the work station or cross-connect. Requiring no soldering, these F-connectors install with a snap and provide a quick easy “screw-on” or “push-on” termination. 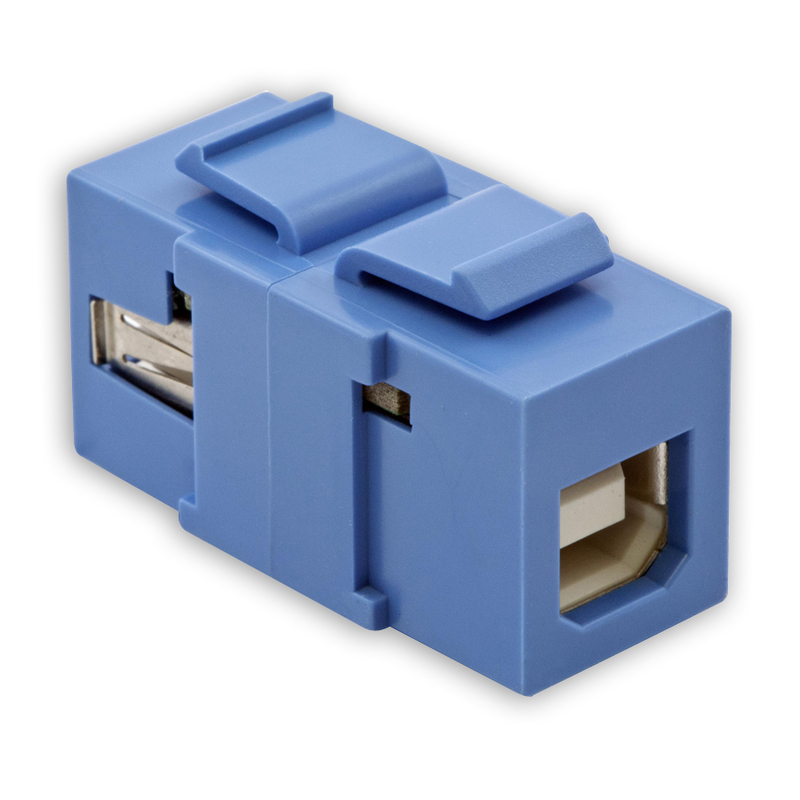 These F-Connectors are available in 7 standard Hubbell colors and mount into all iSTATION™ face plates, modules, frames, surface housings, Hubbell Delivery System products including poke-throughs and surface raceway, and iSTATION™ UDX multimedia panels. Create a customized multimedia work station by adding a Gold F-Connector along with Hubbell's extensive line of AV connectors, loaded modules and XCELERATOR™ jacks. - Quick and easy screw-style installation. - Applications supported: TV, CCTV, CATV, satellite and home theater; Projectors, flat panel TVs, entertainment systems; Security and surveillance systems. Hubbell’s S-Video 110 connectors deliver high quality video to any work station or transmitting/receiving device. The S-Video 110 connectors utilize UTP cable (category 3, 5, 5e, 6, 6A) to deliver video signals within a horizontal point-to-point run. 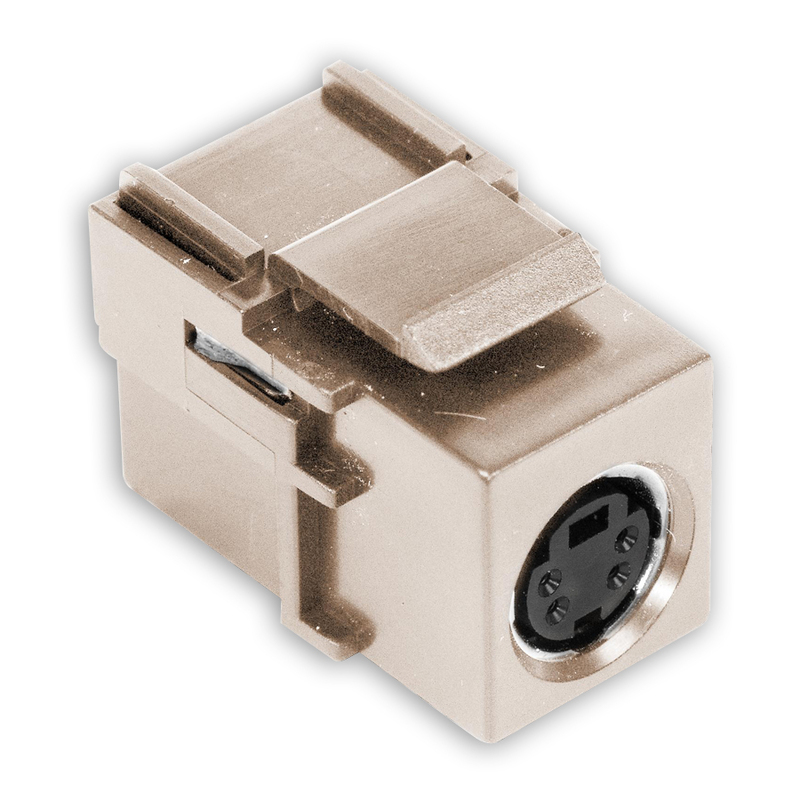 Requiring no soldering, these connectors install with a snap into any iSTATION™ product, module, frame, surface housing, Hubbell Delivery System products including poke throughs and surface raceway, or iSTATION™ UDX multimedia panels to distribute video signals. Create a customized multimedia work station by adding a S-Video connector along with Hubbell’s extensive line of AV connectors, loaded modules and XCELERATOR™ jacks. - High quality video signals. - Video distribution for: Video Distribution: TV, cable, satellite; DVD players, game consoles, graphics cards; Cameras, camcorders, projectors; Home theater and entertainment systems. Hubbell’s S-Video couplers deliver high quality video to any work station or transmitting/receiving device. 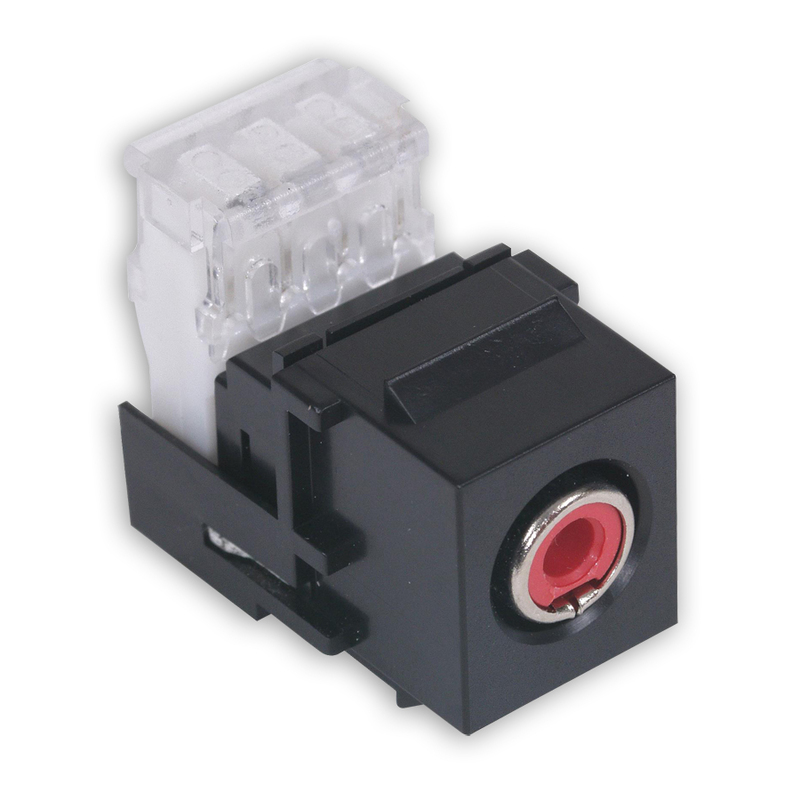 The S-Video coupler utilize standard 4-pin DIN connectors, either pre-terminated as a patch cord or field attachable customized in the field. 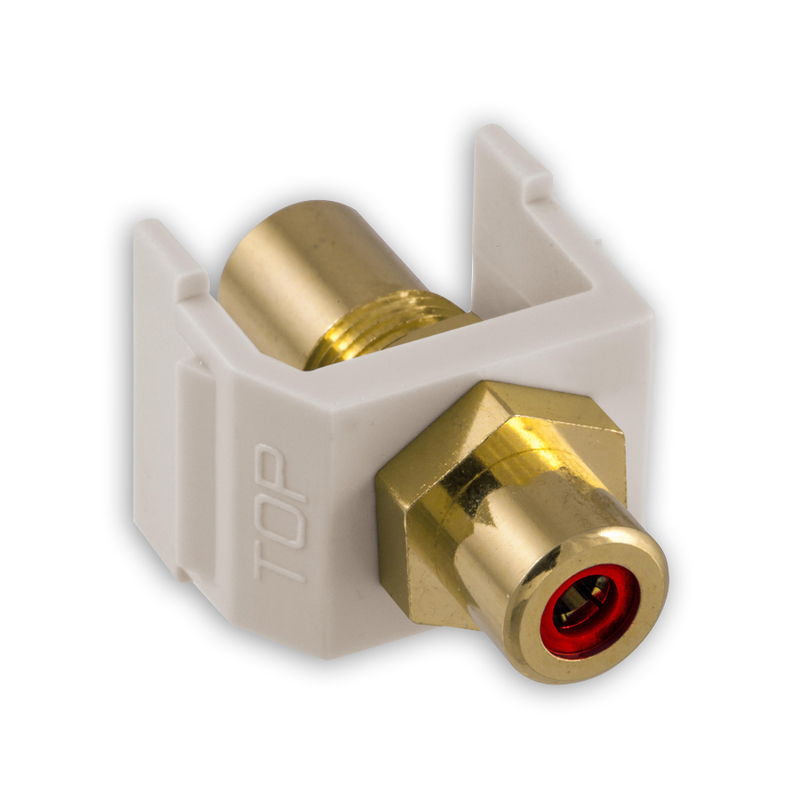 Requiring no soldering, these connectors install with a snap into any iSTATION™ product, module, frame, surface housing, Hubbell Delivery System products including poke throughs and surface raceway, or iSTATION™ UDX multimedia panels to distribute video signals. Create a customized multimedia work station by adding a S-Video connector along with Hubbell’s extensive line of AV connectors, loaded modules and XCELERATOR™ jacks. 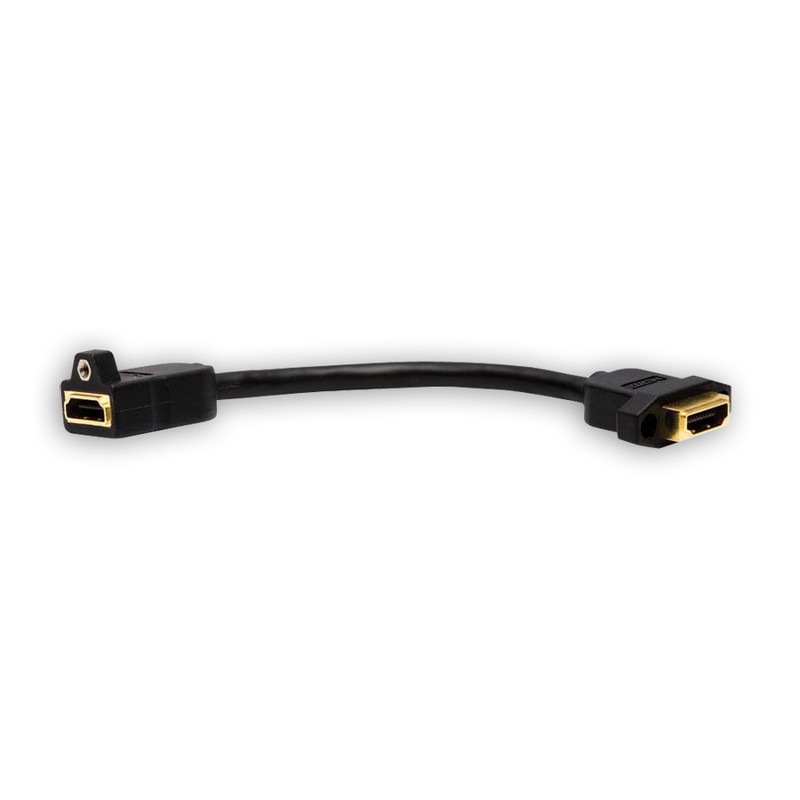 Hubbell’s USB 2.0 AV Connectors provide a perfect solution for connecting computer peripherals to a computer work station, requiring just a plug-n-play patch cord connection. Hubbell’s USB-connectors install into standard Hubbell keystone products providing a clean, aesthetic look, integrating all applications into one space. 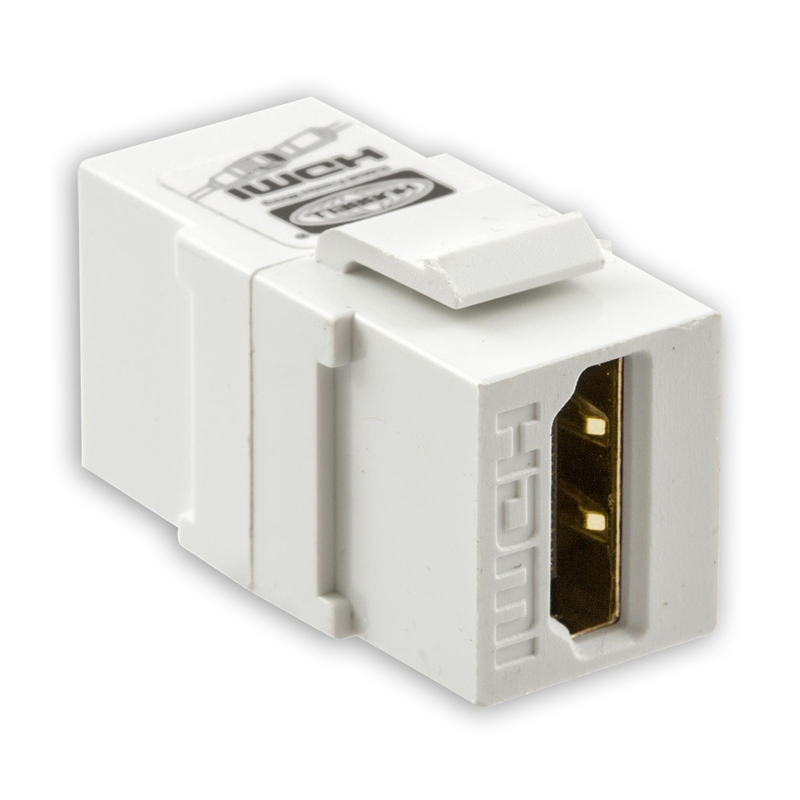 Hubbell’s USB 2.0 AV Connectors are reversible in the AB version. Just simply face which connection you desire on the front of the plate and snap it in. Available in three colors: Office White, White and Blue, these connectors flush mount into iSTATION™ face plates, modules, frames, poke- throughs, raceway, delivery and UDX multimedia panels. Create a customized multimedia work station by adding a USB 2.0 Connector along with Hubbell’s extensive line of AV connectors, loaded modules and XCELERATOR™ jacks. - Reversible A and B interface. - Quick and easy connection installation. - KVM, keyboards, mouse devices, printers, scanners, external storage, and networking components. - PDAs, phones, MP3 players, gamepads and joysticks, digital voice recorders, digital cameras and video recorders.